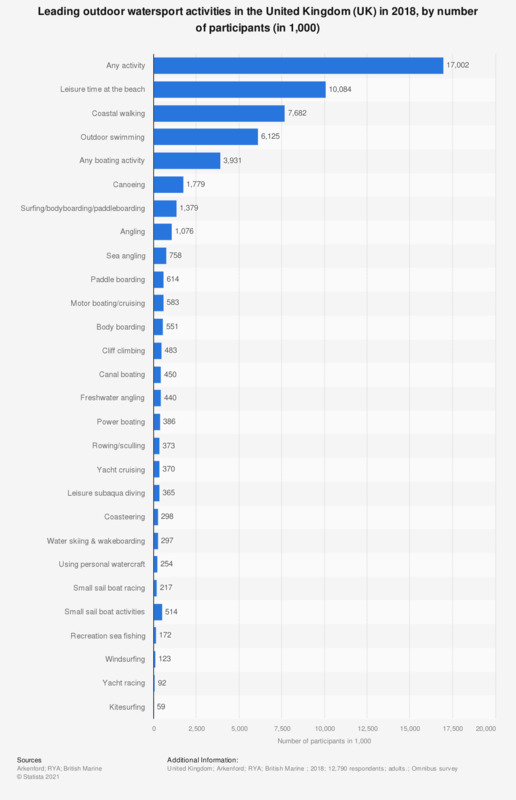 The statistic shows the results of a survey on the leading outdoor watersport activities in the United Kingdom (UK) in 2018, by number of participants. In 2018, it was found that approximately 514 thousand people took part in small sail boat activities in the UK. How do you think camping vacations have changed in the past 5 years?